Hi everyone! 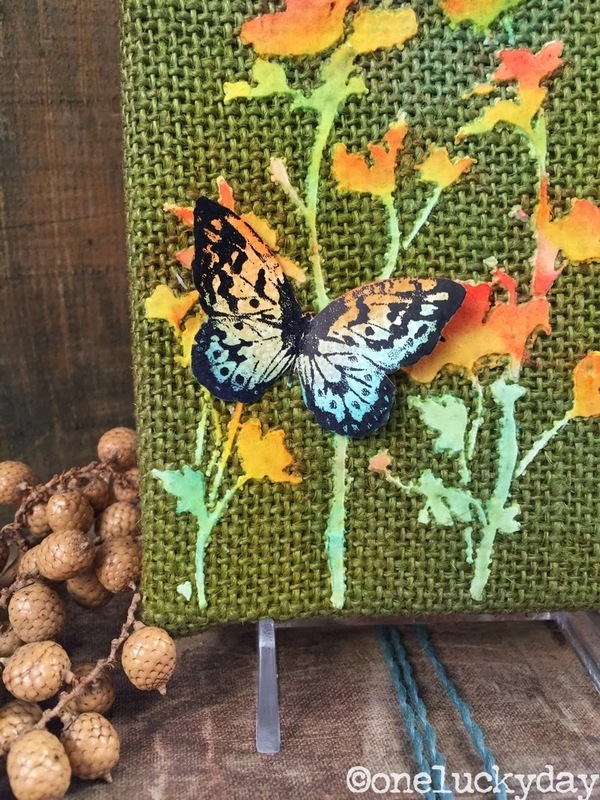 I'm here today sharing a quick little project using a 4 x 6" Burlap Panel. Lets get right into it! I sprayed the burlap with a few colors of Distress Spray Stain and dried it with a Heat it tool. 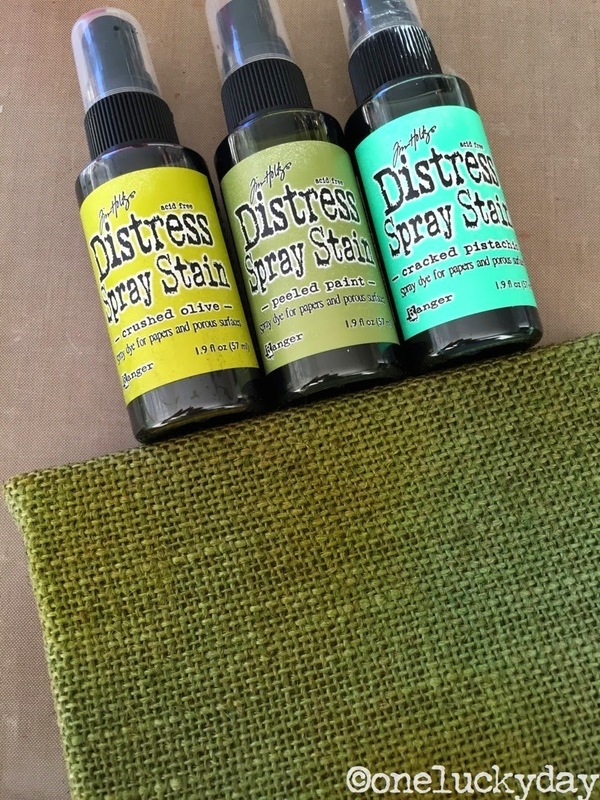 Using Spray Stain is the easiest way to get great coverage over the nubby burlap texture! 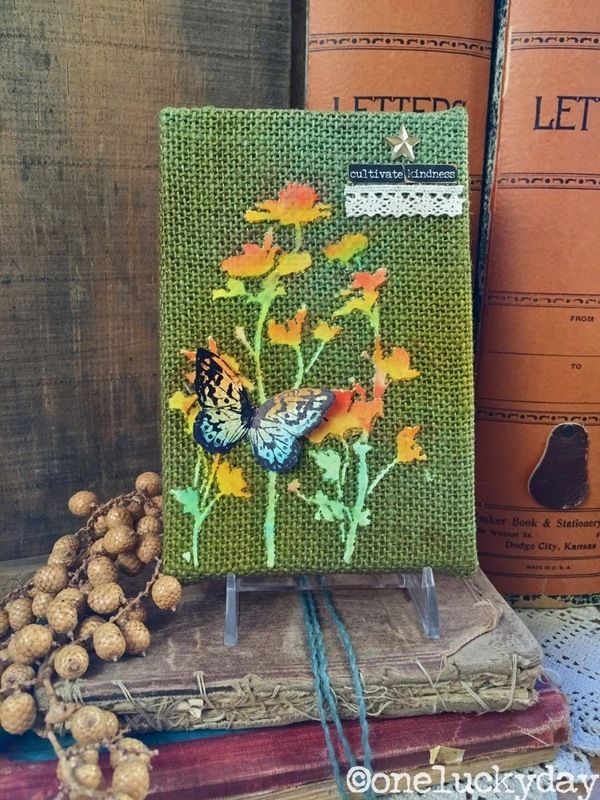 I used the new Wildflower Layering stencil and Ranger Texture Paste to add the silhouette of the wildflowers over the burlap. I let it air dry (which does not take too long at all) before proceeding with the next step. 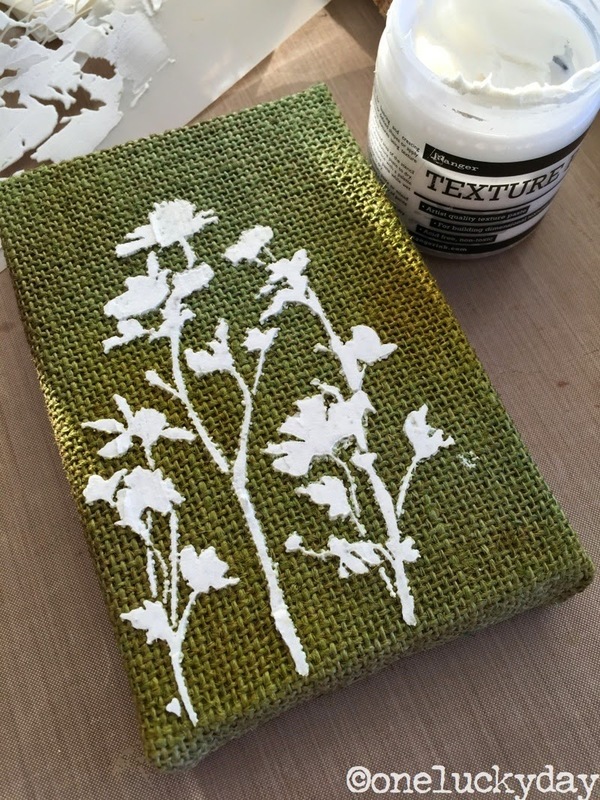 Do not dry Texture Paste with a heat tool or the paste can become puffy. Always REMEMBER to wash the paste off the stencil right away. Once dry you can see that the color of the Spray Stain came up through the Texture Paste, leaving the paste a minty green color. Not a problem, in fact it's really kinda cool how the colors bleeds up through the paste. 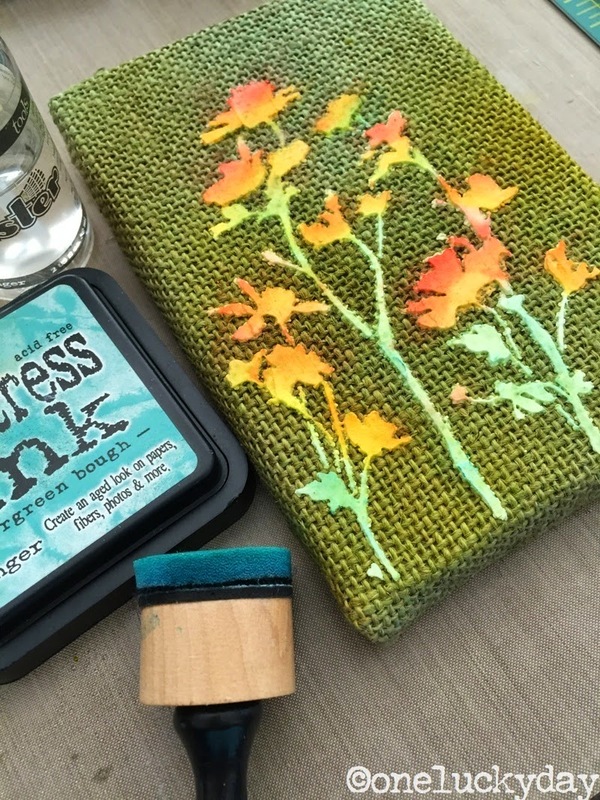 I used a Mini Blending Tool and a few colors of Distress Ink to color the flowers (mustard seed and abandoned coral), then misted it with water to let the colors blend. 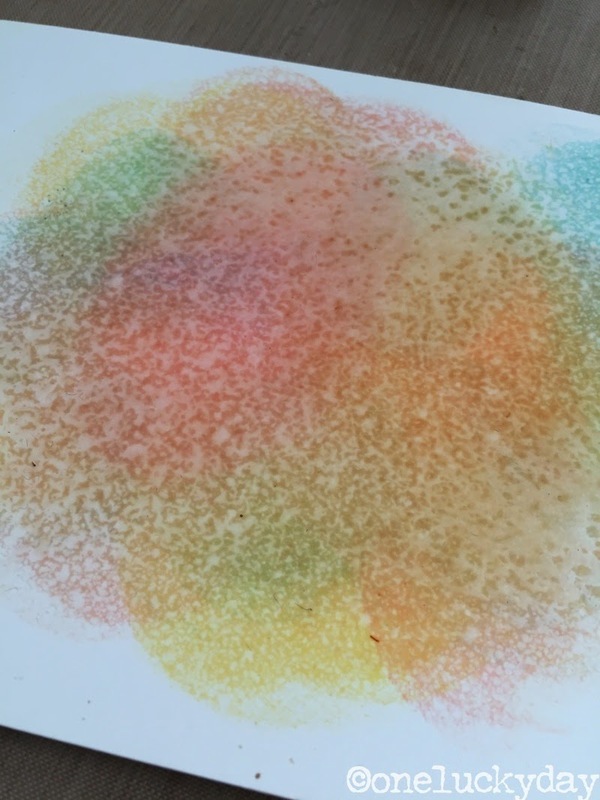 I dried the ink with the Heat it tool. Next, the stems of the flowers needed a just a little more color so I added Evergreen Bough over the dried paste. 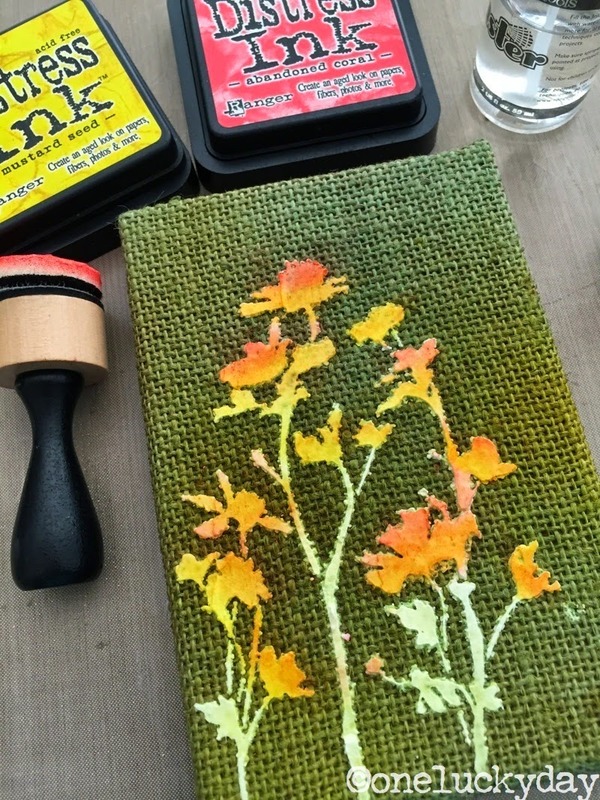 I used the same colors of the Distress Ink to color a piece of Specialty Stamping paper which has a matte surface. 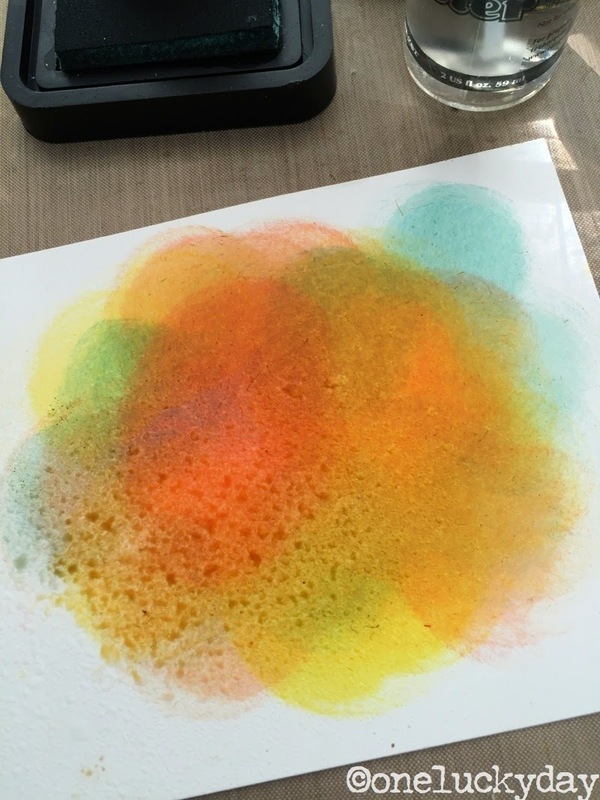 I misted the ink with water. And rolled over the water with a roll of paper towels to tone down the bright color. 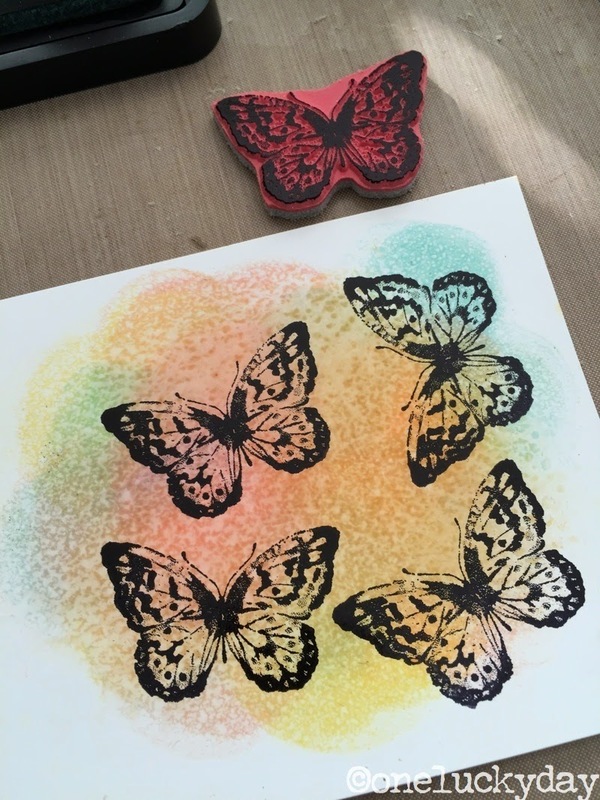 I stamped the paper with one of the small butterflies from the Watercolor Stamp set and Archival ink in Black Soot. I did dry it with the Heat it tool to make sure the ink was set before cutting one out. Once I had it cut out, I added a bit more ink on edges to disguise any white paper that was left from cutting it out. 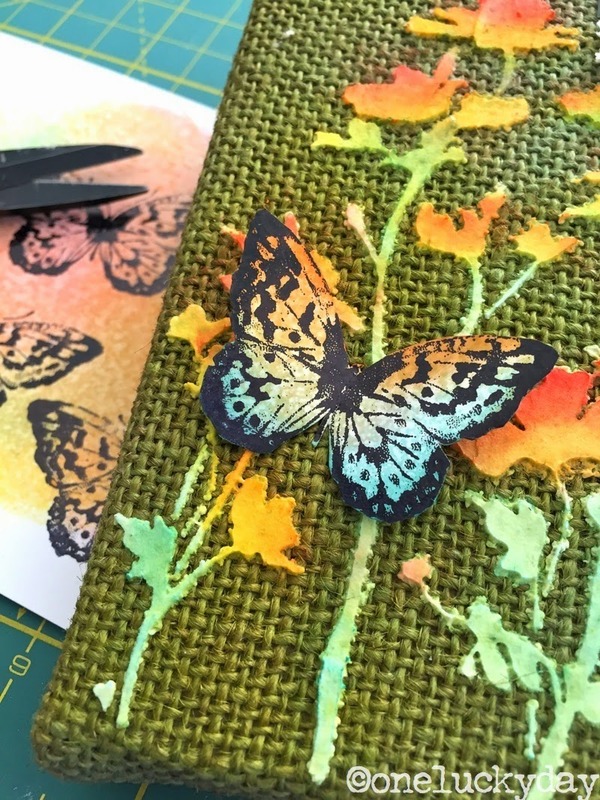 A little Glossy Accents down the center of the butterfly...then hold it in place for at least 30 seconds till it adheres to the burlap surface. 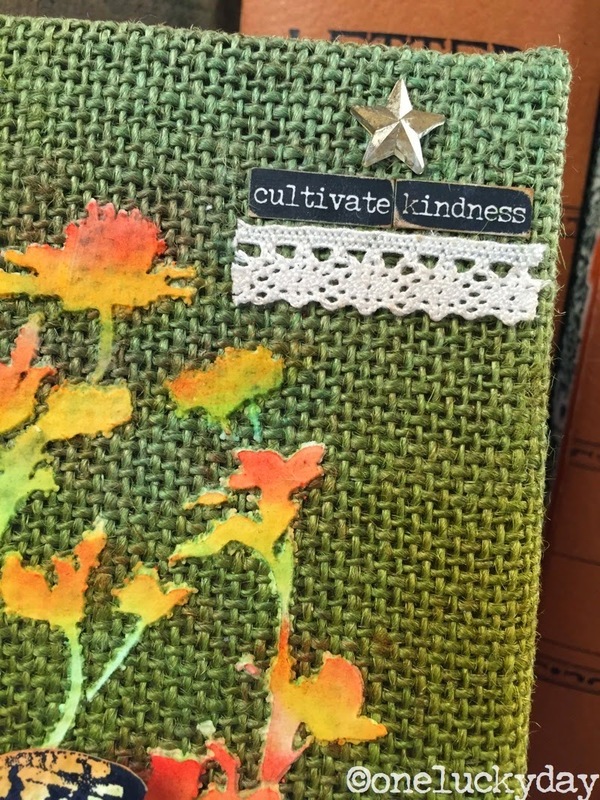 I added a Mirrored Star that has been colored with gold Alcohol ink, text from the Small Talk sticker book and a bit of the new Trimmings. 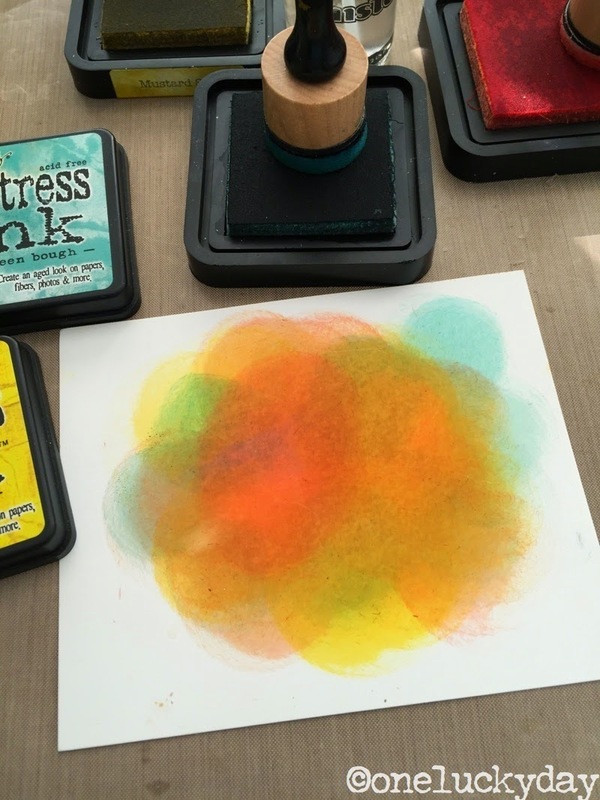 Easy to do and a fun little experiment in coloring Texture Paste. I love that it dries so fast! 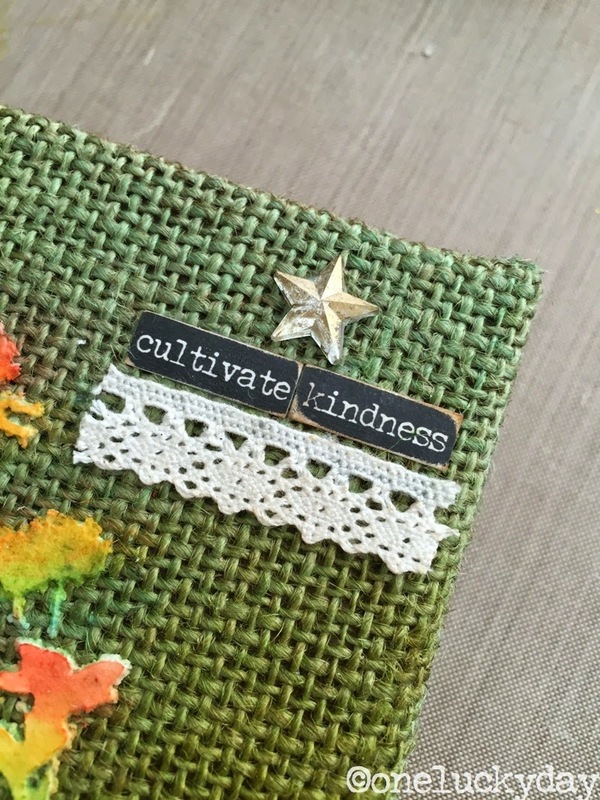 I sure love this little reminder to always, Cultivate Kindness. Thanks for stopping by to see what I made today. I'm off to teach at Memory Bound in Iowa this weekend. Praying for planes to be on time, luggage to make it to the destination, and a happy weekend for all the students! Love this! Have a safe trip! Nice project - have a safe trip! Such a pretty canvas TFS. I signed up for both of your classes on Saturday, so excited!!! Don't know how I missed this, but glad I caught up now, - love the simplicity of this, The colours on the TP look so lovely against the burlap panel. A real promise of Spring as well as a reminder about kindness....Thanks for your constant inspiration!